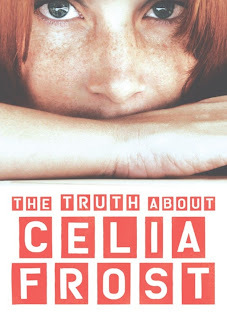 The Truth about Celia Frost is utterly captivating, It traps you within its pages and won't let you go until you have read it cover-to-cover. It is the story of a girl named Celia, she lives with her Mum Janice. Celia is sick, she has a rare blood disorder which means if she has the tiniest cut: the cut will never close, and she could bleed to death. She is also sick of the solitude her disorder brings her. She endures terrible bullying at school: universally known as 'Freak'. Meanwhile, Janice is living in constant panic about Celia and worries intensely. But when Celia is involved in a stab attack at school, something strange happens and it puts light on a whole new scenario. It's a secret so terrible that Celia can barely believe it, but is it true...? 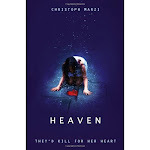 On the other side of the city, A women who is code-named 'Nemo' instructs private investigator Frankie to find the mother and daughter. She strings him along with the promise of a heavy pay check, but will she push him too far? The character of Frankie is very mysterious, he became a private investigator after being chucked out of the police force for corrupt practice. He is being instructed to find and follow Celia and Janice, but is there more to him? Or is he just the 'baddie'? This book had me absolutely drawn in from the ominous title, to the very last paragraph. Paula Rawsthorne leads you to several different conclusions during the plot, and you are wrong every time until the very end! I must have thought up at least seven different theories about Celia until I found out the truth! Celia meets the mysterious boy Sol through a near death experience, yet another wake up call. He becomes the perfect excuse to get out more. It's the perfect match and they spend afternoons by the lake as he teaches Celia how to swim and become more of a teenager. Sol tries to shed light on Celia's mother's strange ways, but is he right? Celia begins to play mind games with Janice and forces her into letting her go out, blinded by rage and unaware of the hurt she is causing. Or the danger she is putting them both in. A must read... five stars!